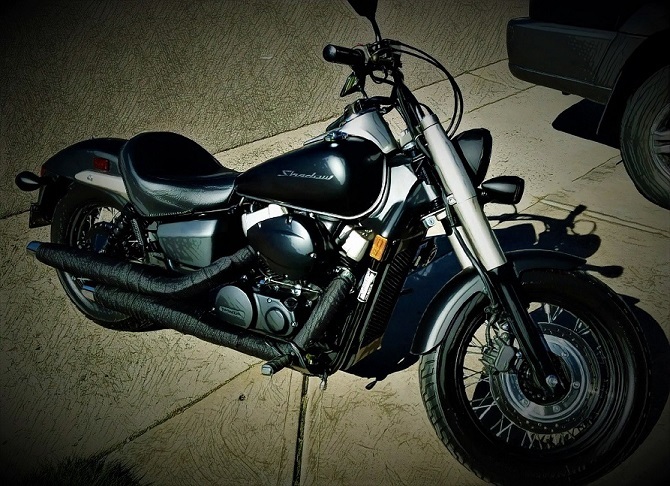 Honda Shadow Forums : Shadow Motorcycle Forum > Local Discussion > Mountain Riders > Any riders in or near Longmont Colorado? Any riders in or near Longmont Colorado? Just got back in the saddle after not having a bike for 20 years. And I couldn't help but notice there are not many recent posts in the Mountain group. So I thought I'd see if anyone living in the area might be interested in getting together for a group ride now and then. I recently purchased a sabre and am getting new rubber put on her this week in preparation for the summer cruising season. Should be ready for the road in a week. I would love to find some riders in CO to go out with from time to time, I live down by Littleton so there is a bit of a gap between us, and having 3 kids and a wife... when and for how long I can ride is something I am still trying to get some consistency to so those are my challenges. Hi Gunslinger_co! As yet I don't have any firm plans, and relatively short trips are fine with me, as I have a kid to look after as well. But there are so many great locations and routes to consider I'm really hoping we can find a few bikers around that might be up for it. Nice ride BTW!